Sometimes TOO BIG is just TOO MUCH. This home is just right for the buyer who is looking to downsize and enjoy an easy care lifestyle without too much home to take care of. This well maintained home might be just the thing that will suit the savvy buyer, well priced and well located. 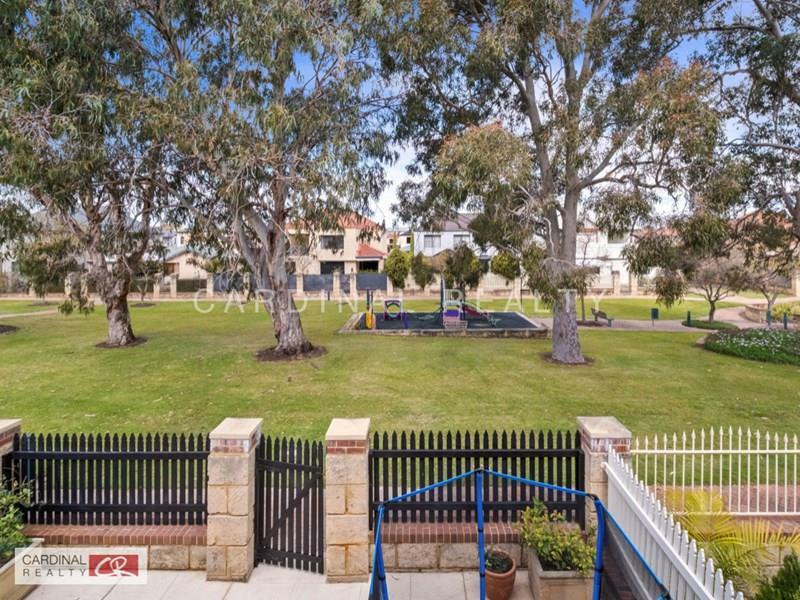 With the rear boundary backing onto extensive parklands, you can enjoy a lush lawn and the shade of magnificent gum trees without the need to maintain them yourself. The rear East facing boundary has a gate to the parkland whilst still maintaining a large outdoor private entertaining area. The double storey home on 200 sqm of freehold land (green title) has recently had a decor makeover with the bathrooms and laundry modernised and a fresh coat of paint. It is move-in ready so you can bring your furniture and start your new lifestyle makeover close to the City and will all the amenities and wonders of living in such an exclusive estate such as Ascot Waters. Often described as the "Jewel in the Crown" of the eastern corridor and a secluded enclave - Ascot Waters is right on the Swan River's banks and offers a very considerable area of parklands, both manicured and wild. Plus the boating opportunities the Ascot Waters Marina offers and the extensive cycle paths and recreational opportunities available. Within cycling distance or public transport to the Optus Stadium and all of the amenities available at Burswood. Not to mention such easy access to the major airports - making this a great base for world travellers or people who must travel for work. Viewings either by appointment or scheduled home opens.